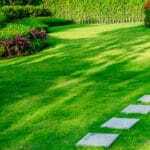 Your home’s property value can only benefit from a well-tended lawn. 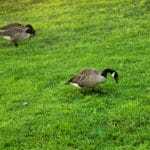 Green Lawn Fertilizing employs the best lawn technicians in the Trenton area. Our locally owned company prides itself on its solid reputation and promises your complete satisfaction. Seeding well done. I specifically requested that the follow-up appointment be done in the afternoon so that I could talk with the technician. I cut short my morning engagement so I could get home by noon. The technician had already come and gone. This left a poor taste in my mouth. I doubt I'll renew my service next year. Overall, went out of his way to let us know about everything. Great guy. Came when they said they would be here. Price is less than if I did it myself. I liked how easy it was to set up. I liked advance notice as well. Im completely satisfied with the results. My neighbor has lawn Dr. Who I left for your company. My lawn looks twice as good as his and lawn Dr. Has been coming for months. Today was your second application. Oops. Lol keep me looking good !! I would like to share with you that Mr. Daedric Caton, who came over this morning for the 2nd round service, is very professional and knowledgeable. He not only just do the work, but also explain why. When he is sharing his knowledge, we feel he cares about his customer. All things considered, Daedric is great on his work! Always comes when scheduled. Always call me before they come! Jorge is courteous,kind,great Customer Skills and is dedicated to provide great service. Responsible: paid full attention in our needs, scheduled the appointment in time, and provided the service summary in written. 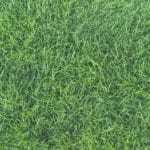 Knowledgeable: offered recommendation/suggestions on to further improve the quality of our lawn. Today I applied round 6 treatment which consists of fertilizer granules that will break down with any moisture received. This is a potash based food source for vegetation.